We were delighted to be invited along to watch Snow White & The Seven Dwarfs on it's opening weekend at Whitley Bay Playhouse. We thoroughly enjoyed Blue Genie's production of Beauty and the Beast last year and couldn't wait to see what Steve Walls and his crew had up their sleeve this year. 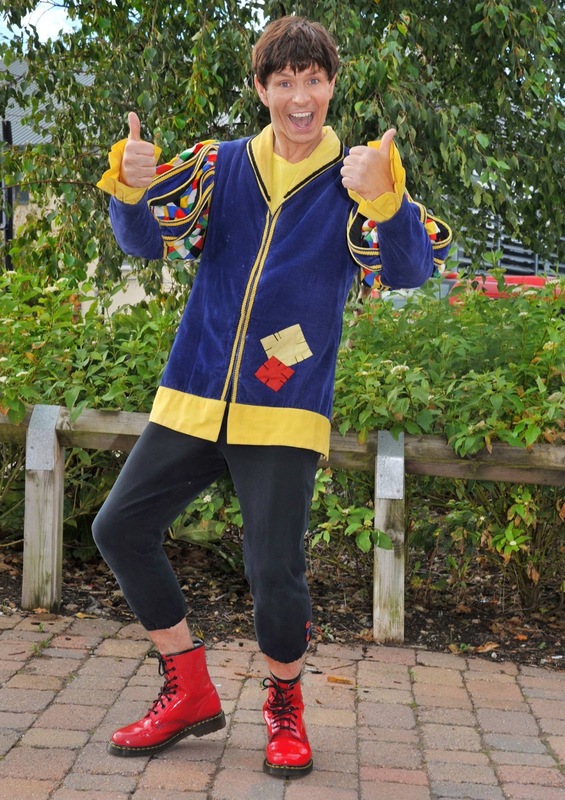 This year's pantomime tells the tale of Snow White which has been brought right up to modern times with popular songs (think Taylor Swift and Ed Sheeran), high energy dance routines (yes there is even a bit of Whip and Nae Nae in there) and on-trend jokes. This is one of the reasons I love the Playhouse panto - even the most reluctant teen who thinks they are 'too cool' to join the family will raise a smile at this show. 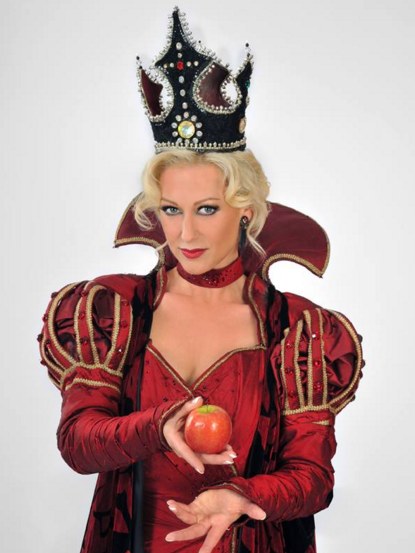 Faye Tozer (from Steps) was the absolute star of the performance as the Wicked Queen. Not only did she never miss a note but she actually relished in the role of panto villain and 100% owned the stage at all times. I was itching to see more of her in the first half and on more than one occasion thought to myself that I could have been watching her in a West End show and forgot we were in Whitley Bay. She was up for a laugh too with lots of cheeky references to her career in Steps taken in good nature. Charlotte Chinn was a convincing Snow White and also sang beautifully and although I did enjoy Rob McVeigh's performance as Prince Charming it is really hard to top Jeremy Edward's performance last year. Tyneside favourite Steve Walls returned as Muddles and always has fantastic banter with the crowd and he couldn't return without his favourite Ghostbuster's scene which this year even has a cameo from a couple of Storm Troopers much to my 9 year old's delight. Steve has the natural ability to get the kids in the audience screaming at the top of their lungs and jumping up and down on their seats like I never see at any other pantomime and is the real heart of the show. I heard a few mutterings that there weren't any sweets thrown into the crowd this year despite there being a trolley full on stage so please bring back the sweet throwing next year ! (Do look out for water guns and flying toilet rolls though). We were all curious about how they were going to portray the Seven Drawfs and if I'm honest they were the only slight disappointment of the show. The drawfs were the same height as Snow White which confused the kids a little and their over enthusiastic (and sometimes mis-timed) acting to a set of comedy voiceovers did remind me very much of the shows we take the kids to see at holiday parks and usually require wine to get through! To give them credit though, the drawfs did win us over towards the end and their jokes did raise laughs from the audience (look out for Simon Cowell, Keith Lemon and Louis Walsh). Special mentions have to be given to Rebecca Shorrocks as Odd Socks whose comedy acting had both adults and kids laughing and the whole cast of dancers who did a superb job. Some of the little ones in the audience were getting a bit wriggly towards the end and I would maybe say this pantomime is best suited to children aged 4 and over. Saying that though, the Playhouse is extremely family friendly with roomy seats, free on-site parking and it is super easy to nip to the loo with the kids or into the foyer if they need a break. The show isn't as scary as some of the other panto's out there either. I said to my mam as I was leaving that I would definitely have paid to see this show even if I didn't take the kids with me, at parts it felt as if the whole show had been written for grown ups and I wondered why all the kids were laughing at jokes that should have gone over their heads? I guess that's the magic of panto though! Please make sure you stay right until the end as there is a special treat for the audience and we all ended up dancing in the aisles. Snow White & The Seven Dwarfs was a real hit with our family. Myself and my mum were mesmerized by the Wicked Queen, my 9 year old laughed the whole way through, Heidi (aged 6) spent the whole show singing and dancing along and Jack (aged 4) said that he screamed so much when the ghosts were on stage that he had to squeeze the last screams from his bones! haha whatever that means? So looking forward to seeing it this year but if I'm honest Sam there is going to be a lot of persuading to win me over this year as I thought last year's was below the bar that they usually set, especially off the back of Peter Pan which was incredible! I didn't see Peter Pan but wish I had! We all preferred Beauty and the Beast to this year's show so not sure what you are going to think? Definitely worth a trip though and I hope you enjoy it. Sounds like a great fun trip to the Panto Sam. The Playhouse is a great venue and it's great that it's so child-friendly, especially when the kids get shuffly and need the loo in the middle of the show. I've had some terrible times at older theatres with tiny seats with my kids when you're stuck in the middle of a really long row of seats and you have to squeeze past everyone multiple times coz the little ones constantly need trips to the loo or just can't settle. Makes me feel anxious just remembering it! Thankfully they're coming out of that stage now and are able to handle a whole performance!